Unlike many islands in the turquoise waters of Panama’s indigenous Guna Yala region, Aglidub is truly off the beaten path. It is without hotels or restaurants; no tourists shop for trinkets and no Internet connects to the outside world. In the center of its only town, about 50 people gather around a large table and curiously watch as Henry Mezquita, fisher and MarAlliance conservationist, takes a pair of scissors in one hand and an ornate looking, striped fish in the other. “You have to cut off the spines at their base so you get all the venom,” he tells the crowd, “then you fillet it like you would any other fish.” With that, he safely removes its poisonous spines, fillets the fish, and whips up a delicious ceviche. Henry and a small team from MarAlliance have spent ten days teaching the islanders how to catch and cook venomous lionfish. 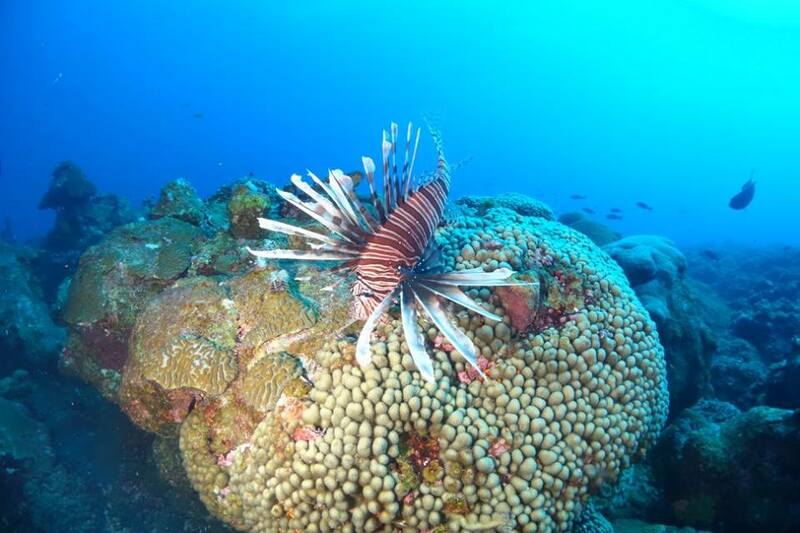 Lionfish are an invasive species that are throwing the local marine ecosystem out of whack. They are extremely adaptable, easily inhabiting nearly every part of the sea—including reefs, mangroves, and estuaries—and breed so fast they spread through the water like a virus. MarAlliance’s research in the Caribbean has shown that big fish populations like sharks and groupers, which are critical to the health of these ecosystems, are declining as lionfish thrive. Yet paradoxically, these big fish are potential predators and could be essential in controlling the prolific lionfish. At other sites, locals have tried to control lionfish populations by spearing them and feeding them to sharks, a practice that MarAlliance is keen to stop as sharks become too habituated to people. However, if sharks and other large fish learn to consume lionfish on their own, they could indeed become a resource for keeping lionfish populations down. This pas de deux between abundant lionfish and declining sharks is why MarAlliance works with locals to create demand for lionfish in Aglidub. Because lionfish are venomous, many islanders have been afraid to catch and consume them. MarAlliance’s fisher engagement and public demonstrations on how to handle lionfish prove that this once intimidating fish is simple to prepare and quite tasty. MarAlliance’s conservation strategy in the Guna Yala region is to expand work with the islanders, encouraging them to see lionfish as a fantastic new food source and instilling in them an understanding that sharks and other big fish are invaluable to healthy seas. Hopefully, the more Guna Yala’s communities consume lionfish the more they will protect sharks and rays…one delicious bite at a time.